CX is an enclosure with all welding assembly for strengthening and prevent of dust and liquids to ingress into the enclosure. 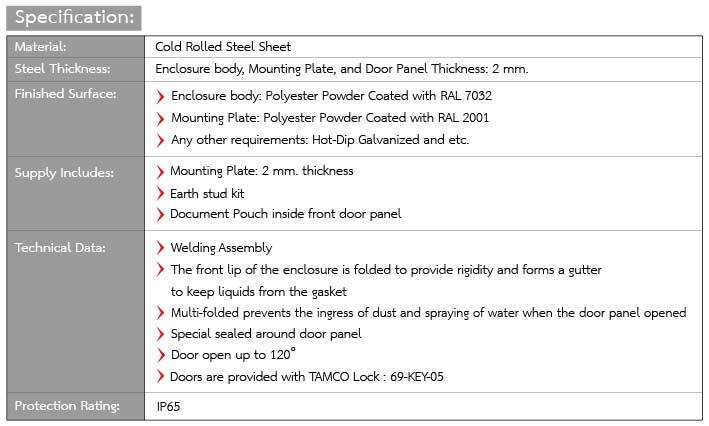 It is made of cold rolled steel sheet with 2 mm. 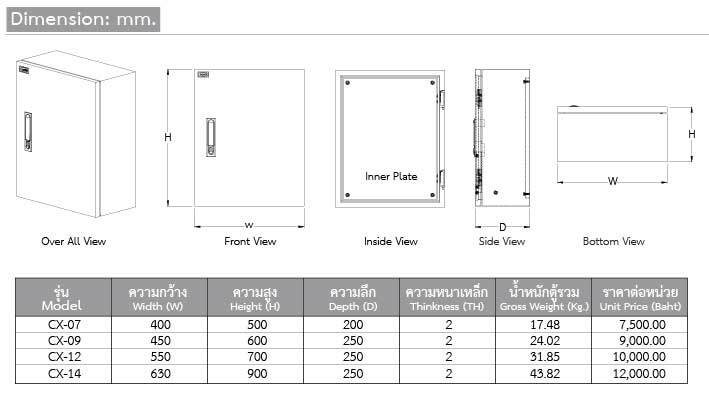 thickness for enclosure body, mounting plate and door panel. pouch inside the front door panel. The International Protection rating is IP65. There are 4 standard sizes.